Fixing What Ails Wall Street: Ethics, or Incentives? The financial and insurance sector of the US economy has more than doubled since the 1960s. Compensation levels in that sector have way more than doubled, and in way less time. Finally, the finance sector is highly responsible for the recent massive losses in asset value, with the attendant down economy, unemployment, etc. If you’re with me on those three statements, then you probably agree that something is wrong on Wall Street. But just what? Are warped incentives to blame? A Gordon Gekko-ish culture of greed? A mugging of economic thinking by anti-Keynesian theorists? An over-emphasis on competition? A failure of regulation? If we force it, most answers boil down to two: it’s either the greedy financiers’ fault, or the fault of the system to restrain natural greed. Let’s look at some recent examples of both views. Eric Dash, in the blog Economix, does a fine job running down several reasons why pay packages got so out of whack with performance. He focuses particularly on moral hazard and timing issues. If you can gain big by risk, but can’t lose, then the game is rigged against the public. And if you take the money and run, then no one can hold you accountable. But in the end, Dash suggests culture is key—the culture of correctly linking risk to pay–or not–encouraged by those at the top. It seems curious to cap a structural critique of the industry with a conclusion that is based on a human-nature sort of thing like culture. 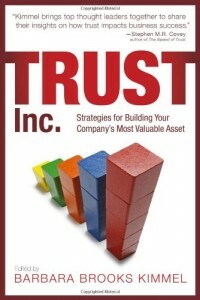 Interestingly, Stern also cites a strong culture as the ultimate source of ethical behavior. But the quotes above illustrate a weakness at the heart of much of the arguments for ethical behavior. They often try very hard to prove that ethical behavior is profitable behavior, hence we can have our cake and eat it too. Problem is: if the ultimate test of ethical behavior is profitability, then it makes a complete hash of ethics. I happen to believe that for the most part, behaving ethically is indeed profitable; the longer the timeframe and scope, the easier it is to prove this (sustainability initiatives are a good case in point). But to use bottom-lines to justify ethical behavior is hugely back-asswards. What happens when we combine a reliance on structural issues with a casual view of ethics that defines moral behavior in terms of profitability? A striking example, it seems to me, occurred this summer in healthcare legislation hearings. Representative Stupak of Michigan asked three health insurance industry leaders whether they would commit to ending the practice of rescission unless there were fraud or misrepresentation. They fact that the companies refused to so commit is not surprising, or even troubling, to me. There could have been valid business reasons not to knuckle under to such a public hijacking. But then the leaders opened their mouths to explain why they would not so commit. “No sir we follow the state laws and regulations,” said one leader. “No, I would not commit. The intentional standard is not the law of the land,” said another. I suggest that’s the result of decades of decay in ethics. We have come not only to over-rely on structural solutions, but have produced business ‘leaders’ who blithely abdicate any ethical responsibility in favor of laws passed by state legislatures. How can business be trusted if it has no ethics beyond a lawyer’s opinion? What kind of ethics is that? The law should be based on ethics, more than ethics should be based on the law. Law schools, business schools, corporate boards, industry and professional associations should all be ashamed that they have lost track of the difference, and have got it thoroughly backwards. They need to be held accountable for encouraging this kind of bland monstrosity. What’s really wrong with Wall Street? Not misaligned incentives, but misaligned views about who owes whom: it’s business that has an obligation to society, not the reverse. Apparently not everyone got the memo. 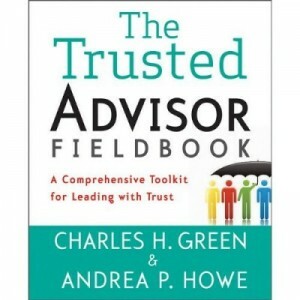 http://trustedadvisor.com/public/trusted_advisor1.png 0 0 Charles H. Green http://trustedadvisor.com/public/trusted_advisor1.png Charles H. Green2009-09-21 10:00:002009-09-21 10:00:00Fixing What Ails Wall Street: Ethics, or Incentives?